Ho Chi Minh City Department of Tourism organizes the “Roadshow Ho Chi Minh City Tourism” at ASEAN Tourism Forum 2019 and TRAVEX Exhibition at Halong City, Quang Ninh Province. 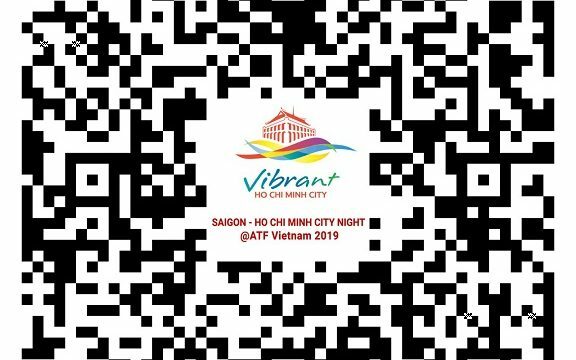 The Roadshow Ho Chi Minh City Tourism will have 2 main activities: (1) Promote Ho Chi Minh City “Safe – Attractive – Friendly” Destination, (2) “Saigon – Ho Chi Minh City Night” on 15th January 2019 with the participation of more than 150 international media, international travel professionals and Representative of National Tourism Organizations of ASEAN (3) Introducing and promoting Medical Tourism and 8 new City Tours to celebrate Ho Chi Minh City’s 320th anniversary. “The International Arrivals to Ho Chi Minh City has reached about 7,5 million in 2018, increase 17,38% compared to 2017. 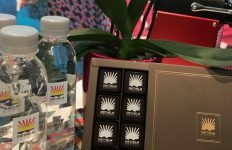 The city has attracted 29 million domestic visitors, increase 16% compared to 2017. Total revenue of tourism in 2018 is 140,000 billion VND, up 21,55% over the same period. Organizing these activities is our enthusiastic effort to promote Ho Chi Minh City as a travel gateway & a gather place of Vietnam’s cultures and cuisines to international media and travel professionals.” said Mr Bui Ta Hoang Vu, Director of Ho Chi Minh City Department of Tourism. In addition, at TRAVEX Exhibition 2019, Ho Chi Minh City wants to introduce and promote Medical Tourism and 8 new City Tours which will provide unique and typical experience to explore the process of formation and development of Saigon – Gia Dinh – Ho Chi Minh City, enhance the image of an ancient and modern city. 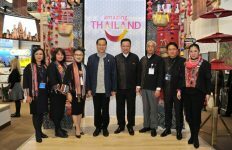 In the framework of the ATF Vietnam 2019, Ho Chi Minh City Department of Tourism will introduce The 15th edition of International Travel Expo Ho Chi Minh City (ITE HCMC 2019) to more than 150 international media, travel professionals, travel agencies at ‘The 49th Meeting of the ASEAN National Tourism Organizations’, ITE HCMC 2019 will take place from 05 to 7 September 2019 at Saigon Exhibition and Convention Center (SECC). ITE HCMC 2019 under the theme “Travel Gateway to Asia” is the largest and most established international trade tourism expo in Vietnam, and is a key bridge in the tourism industry for both inbound and outbound markets in Vietnam and the region. ITE HCMC 2019 marks the 15th anniversary of its establishment. and development of ITE HCMC with double scale. Mr Le Truong Hien Hoa, Director of Ho Chi Minh City Tourism Promotion Center (HTPC) has announced the City’s Promotion Plan: (1) Attending annual international events such as: ASEAN Tourism Forum & TRAVEX Exhibition; Tourism promotion activities of the Asia-Pacific Tourism Promotion Organization (TPO) and the Lower Mekong Mayors Summit Tourism Meetings; (2) Attending International Tourism Expo and organizing Roadshows; (3) Joining through the city’s foreign affairs trip led by Leader of People’s Committee ; (4) Coordinating with the Investment and Trade Promotion Center (ITPC) for foreign promotion activities; and (5) Coordinating with Airlines, Travel agencies and International organizations to organize FAM trip and Presstrip. 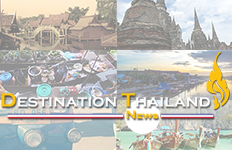 Regarding foreign promotion, HTPC will focus on promoting markets in Europe, especially Germany, France, United Kingdom and North East Asia region such as China, Korea, Japan; During the first quarter of 2019, the Ho Chi Minh City Department of Tourism will organize the Roadshow Program in Germany and France in March 2019 and the Event ‘Ho Chi Minh City Day in Aichi, Japan’ in April 2019. In addition, Ao Dai Festival and The 15th ITE HCMC will be the highlight of the City’s tourism event in 2019. To celebrate 320th anniversary of the city, HCMC Tourism has launched 8 tours aims to give tourists an insight into the formation and development of HCM city. City tours in central areas include Central Post Office, Notre-Dame Cathedral, Binh Tay Market, and the War Remnants Museum. While Can Gio District is famous for the Vam Sat Eco-Tourism Site and Rung Sac Military Base. Cu Chi District is most known for its historical relic site of Cu Chi Tunnels. The price is from VND 400,000 to VND 2,1 million (USD 17 to USD 90). In 2017, Vietnam welcomed more than 80,000 foreigners for medical examination and treatment; in which, nearly 40,000 foreigners went to Ho Chi Minh City to experience medical tourism products, which generates nearly 1 billion USD revenue. Beside the advantages of facilities, advanced medical qualifications, the cost for medical examination and treatment in Vietnam are only about 40% compared to other countries in the region. Ho Chi Minh City Department of Tourism and Department of Health have collaborated to promote and introduce Medical Tourism to ASEAN countries, especially Laos and Cambodia.